There are 18 reviews of Slate. Boring, mediocre at best. You want this but much better done, try Kenneth Cole Black Bold. Slate smells like that, but with a fresh cut grass accord, as another reviewer alludes to. Only problem is when it intermingles with the other notes, it kind of just smells like a big wet fart. I can't really explain it, you'll have to smell it for yourself. Very fresh smelling but also very feminine in the opening (at least to me). After 20 minutes or so it settles into more of a masculine scent which reminds me of Kenneth Cole Black with a slightly different twist. I do like it and often reach for it when I don't know what fragrance to wear. I have a lot of colognes and this one is great for those moments of indecision. Not a must have fragrance but if you can get it on the cheap, then I do recommend. This will last forever on your skin, and it projects just right. Not too strong, not too weak. The fragrance seems too feminine for me, but I could see it being used for office wear and such. First let me say I saw this at T.J Maxx for $20! This was the gift set. 1.7oz spray & 2.0 Shower Gel! I thought that was a great deal so I got it! Now I never smelled Slate up until yesterday when I first tried it on. There is a metallic, herbal, green pasture thing going on here.. Now this is not bad stuff. I kept getting whiffs of it throughout the day & the frag really does not move out of that whole metallic, herbal, green pasture formation. When I smell this, I get a sudden urge to eat! This is by no means a gourmet frag, but it does come off as having a sage note that 1 would use in dressing for thanksgiving! While the herbal note is there, it is over powered by the metallic note as it blends perfectly with the herbal note which seems to create a vision as if you were walking through green meadows! GRASS! A pleasant grass. The longevity was impressive! 6 hours! Projection seemed good as well! All in all this is a good modern day frag that surpasses alot in its time. I would give it 3 1/2 stars out of 5! Banana Republic has a winner with this 1! I received Slate as a gift a few years ago, and even though it isn't something I would have chosen for myself, I definitely enjoy it. Of the numerous metallic/silvery smelling men's scents I've tried, this is among the better ones. The top is citrusy and metallic without smelling sharp. The heart strikes me as being more floral than herbal (a little bit like a flower shop, with a melange of flowers and cut stems) and reminds me a bit of the dry down of BR Malachite. Every now and then I catch a whiff of ginger, but it isn't as prominent as I'd like. All in all, this is a pleasant, if a bit ordinary, fragrance that is nice for the daytime. I enjoy this fragrance. It has a mild metallic tinge that seems as much herbal as it does metallic: I enjoy this metal ambiance better than I enjoy the metallic aura of Chrome. The sage provides that cool, rustic modern note that I like, but I don’t interpret it as “fresh”: It just seems to be a pleasantly mineral aroma. 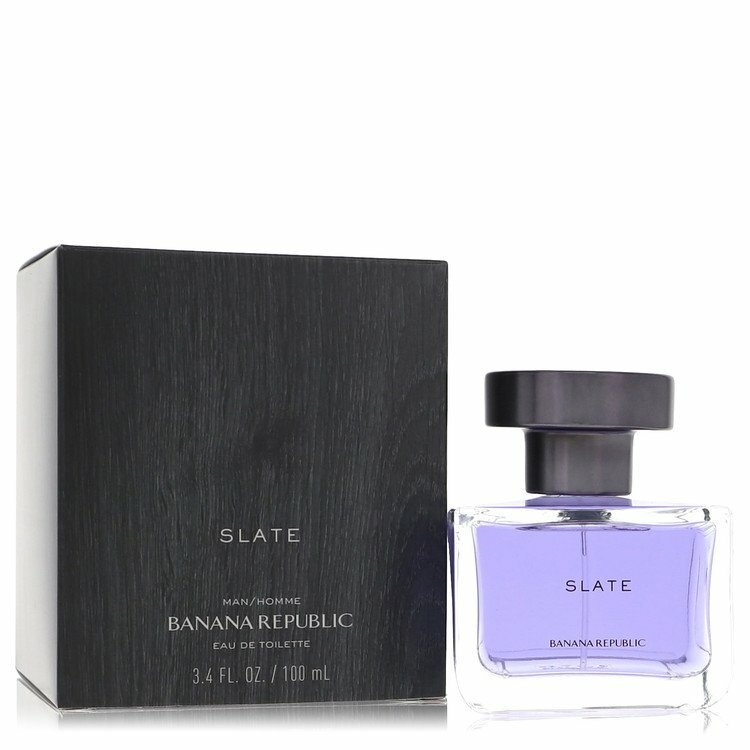 The ginger note does freshen the fragrance a bit., but it doesn’t seem like a generic fresh scent… Slate seems to have more going for it than the usual run of the mill. I don’t get much sweet in Slate; it simply stays herbal / metallic / mineral. It is a well-made fragrance that offers something a little different, and I appreciate the difference. 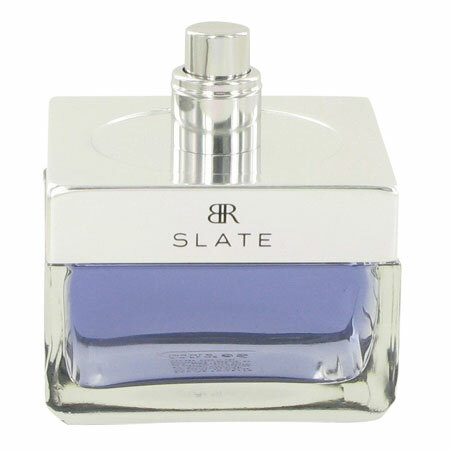 On my skin Slate is quite linear and its longevity could be improved somewhat, but I find it a discreet, enjoyable, and highly wearable fragrance – and, most importantly, something a little different from most of the current designer offerings. There are no member images of Slate yet. Why not be the first?